On September 8th, I walked in my local Sephora with the intention of picking up a few beauty products I needed. Much to my surprise, I was met with an extremely long line and packed store. Now it is not unusual for Sephora to be busy but this was a little out of the ordinary. It wasn’t long until I found out why. 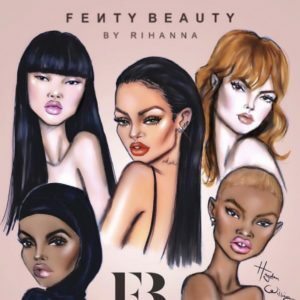 Rhianna, RiRi, The Bad Girl, had released her new cosmetic line Fenty Beauty. I had seen posts about it on social media, however, I rarely wear makeup so I was somewhat out of the know about the release date. 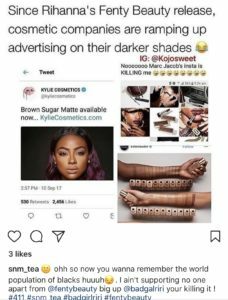 In the days to follow I began to see more posts and commentary about the makeup line all over social media. 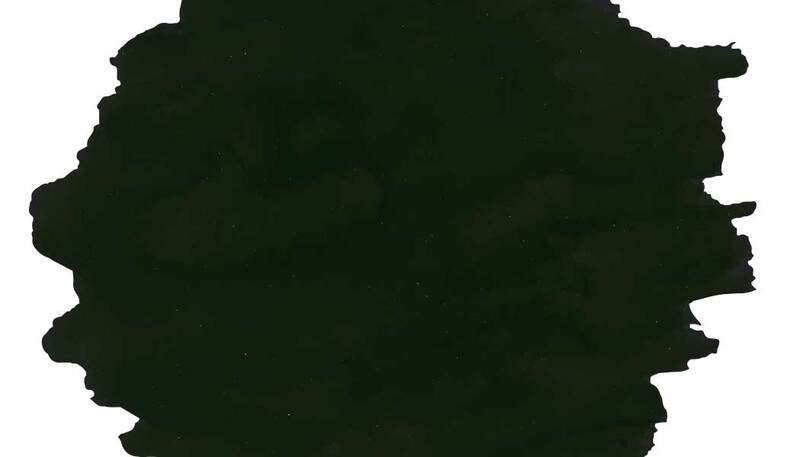 This sparked me to delve a little further into what the hype was all about. In doing so, what I found was simply amazing. 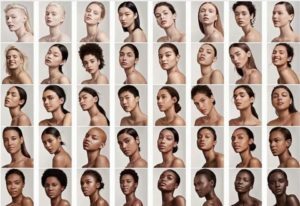 Fenty Beauty’s foundation collection consists of over 40 “boundary-breaking shades,” covering every possible pigment. 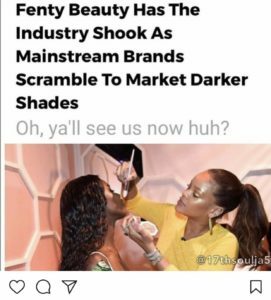 Ironically, after the release of Fenty Beauty, other makeup brands began to post more of the darker colors in their collections. And social media did not let this go unnoticed. Good for them! Thanks…I guess? My question is however: Why weren’t all skin tones considered important before Fenty Beauty launched? Rhianna found a hole in the industry and did not hesitate to fill it. She has possibly managed to created THE most inclusive line of foundation that’s been created thus far. 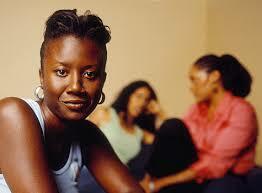 I applaud The Bad Girl for making sure all women, and men, feel included. Every buyer can find something in the collection to relate too. 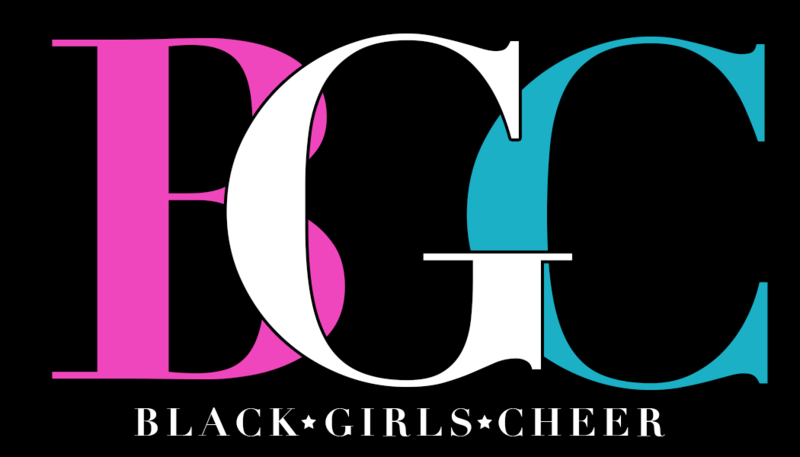 I appreciate her efforts and intentions as the creator and face of this brand. I commend her for taking personal responsibility for who is presented and put out into the world. Other brands and companies, TAKE NOTE! This is diversity and inclusion done right! This is corporate responsibility done right! This is LOVE done right! This ladies and gentlemen is how you throw SHADE!